They say every dream begins with a dreamer. But dreams cannot be realized through miracles and magic. They take hard work, determination, and lots of sweat. This is the current state of Iran. What started as a dream in the summer of 2018 seems to have become a reality as the country just unveiled a state-backed cryptocurrency. This dream began when the country learned that it was going to face new economic sanctions with the United States and instead of carrying foul like most countries would, it took it as an opportunity and it has now taken what most economic analysts see as the boldest economic step any nation can make. Another factor that has occasioned this move is that the country was recently removed from the Society of Interbank Financial Telecommunication, popularly known as SWIFT; hence making it nearly impossible for it to operate its import and export business. This could cripple the economy of this nation; thus informing the need to develop alternative strategies of moving money. This cryptocurrency will use a ledger technology which will work by allowing a network of computers to verify transactions between parties other than use a third-party entity to validate them. Payman will be issued by the central bank and will be backed up by Rial. According to reliable sources, it is not yet confirmed whether the digital currency will be implemented in large scale, but what is certain is that it will be used by citizens to make payments locally. According to Yashar Rashedi who is a Blockchain developer at Radfa, a local digital currency firm, this central bank-issued currency will not match giant cryptocurrencies such as Bitcoin due to its centralized nature, but its presence will have an impact on the market. He further states that the currency might not enjoy widespread use from the general public, but it will offer a host of beneficial features for developers and startups who were used to centralized bank APIs. The rolling out of this cryptocurrency will be done in phases. First, it has been released as a rial-backed digital currency which will be used to enhance payments between Iranian institutions and banks based on the crypto space. Later, it will be released as a primary method of paying for goods and services by the general public. Some critics argue that this new development will not help Iran make payments with other countries, but crypto experts suggest that it is a move that might build a strong foundation for the Islamic country to join the hyped Blockchain-based international payments systems which are regarded as the best alternative for SWIFT. The Iranian authorities have stated that the virtual currency will be governed by the Central Bank and will be built on a privately-owned Blockchain that cannot be mined. 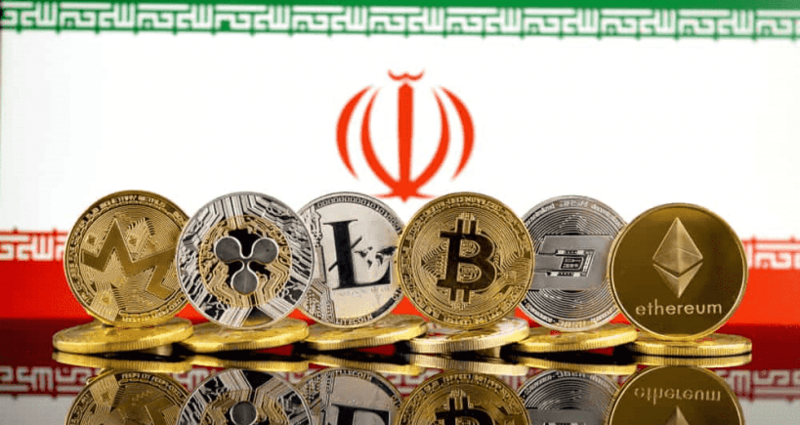 Although Iran will face many stumbling blocks in the implementation of the currency, crypto fanatics believe that embracing cryptocurrency will create a conducive environment for rapid economic growth. If you want to invest in a Middle East business that sells banner stands or any other product that you feel will speed up business growth especially in Iran, you need to arm yourself with knowledge on how you will run block-chain-based transactions. The benefits Iran will get from this move are immense, but the question of whether it will be implemented remains to be seen.